Reopened after sandy. We are back open after the storm and we understand fishing is the last thing on many peoples mind. But if you need a hot cup of coffee or to vent we will be hear. We also have some rain gear, boots, warm hoodys and gloves left. 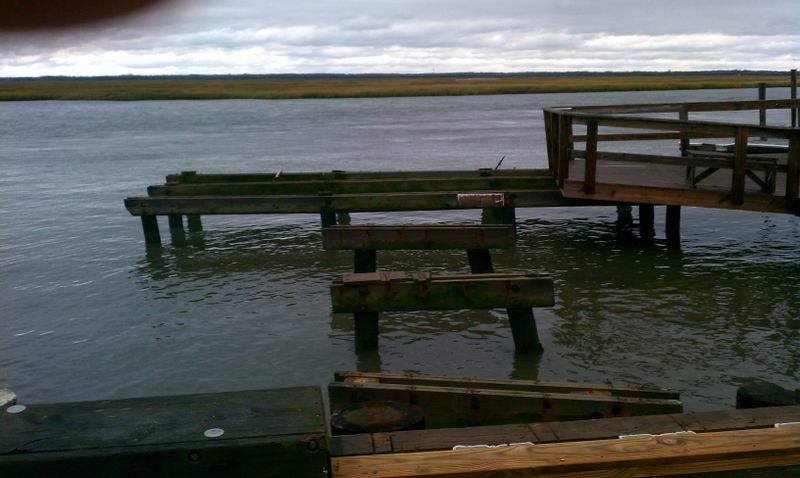 The picture is of the 59th st Public fishing pier that so many of us have fished from. I was able to get into Sea Isle City today and get a look at the tackle shop. Fortunately we received NO damage. We will be open Saturday and Sunday as far as a schedule going forth I am still unsure. Family and friends have lots of cleaning up and repairs that they will need help with. 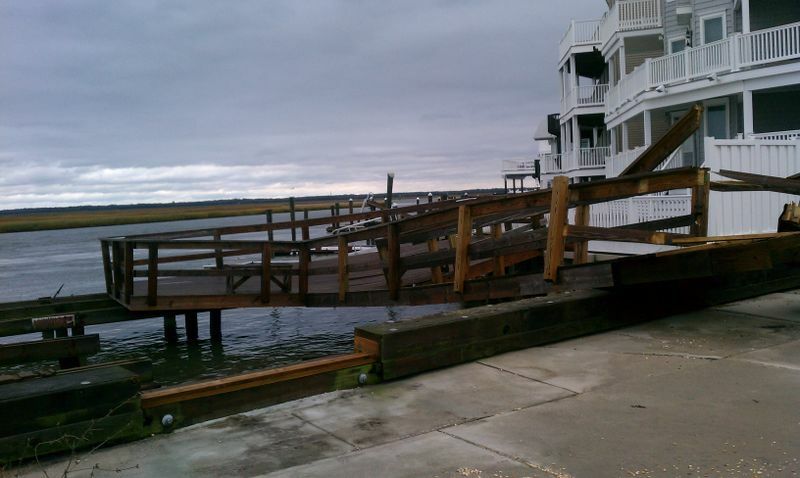 As most of you know SIC is a small town and we all help each other out when need be. Things around town are tough to look at, but not as bad I had imagined. The picture above is of a boat that lifted off its cinder blocks and floated away, it is currently in the empty lot where Pats Steaks used to be (44th and Park Rd) just down from the shop. I will keep you updated on hours and happenings around the store. 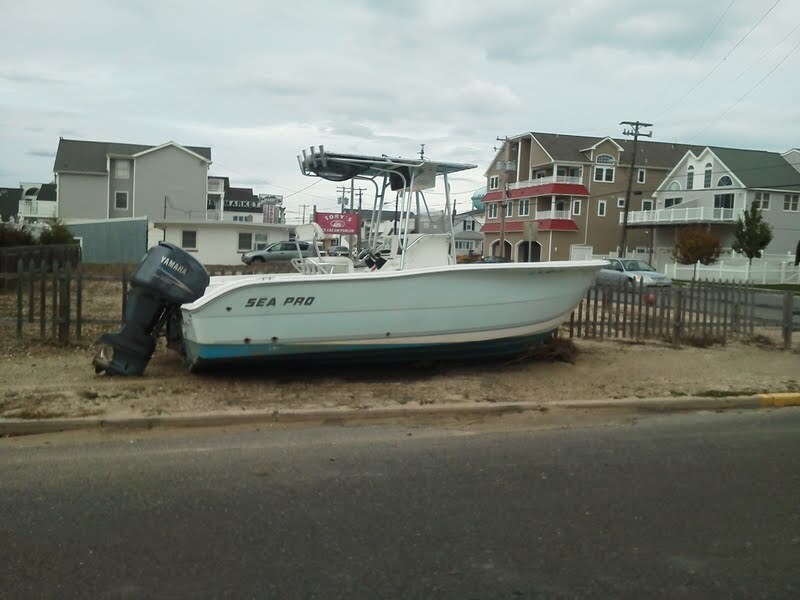 I will be doing my best to serve the fishermen and ladies of Sea Isle while also helping my loved ones rebuild.